In this visually astounding National Geographic documentary, we witness Alex Honnold’s mind-boggling ‘free solo’ climb of the notoriously difficult Yosemite Valley 3,000ft rock face, El Capitan. No ropes, no harness, no back-up- just Honnold’s impossibly intense physical and mental concentration as he becomes the first person ever to complete this breathtaking feat. 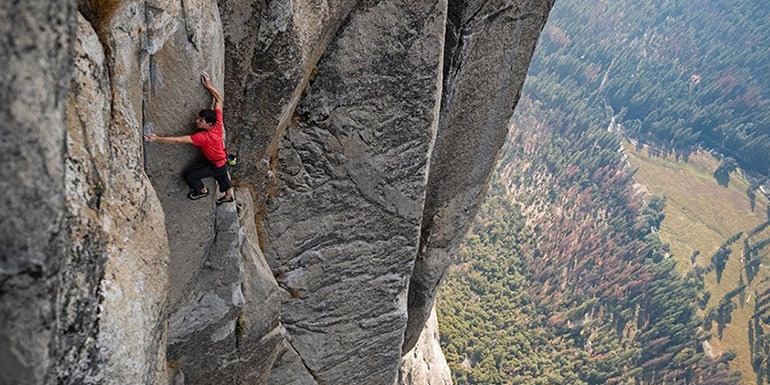 Terrifying, magic and ultimately nail-biting, Free Solo is monumental, both in terms of human physical achievement and documentary-making.